A story of respect, renewal and an ambitious future. 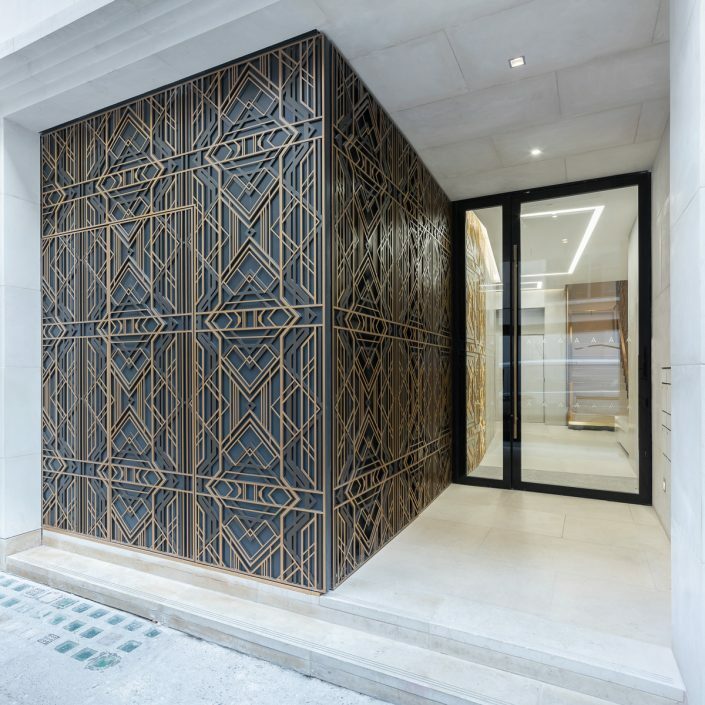 Designed by Darling Associates for E&A Property Investment Company, the aim was to revitalise the property through a robust composition that unifies historic and contemporary design themes. At street level, visitors are first greeted with a beautiful and delicately intricate entrance. 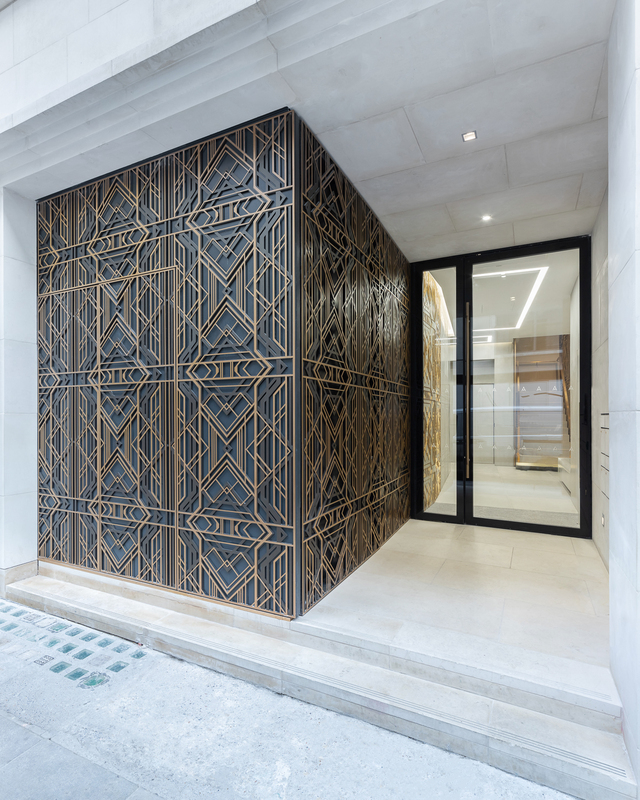 This Art Deco inspired pattern continues throughout the reception, echoing through etched concrete and ceramic, emerging into the lobbies at every floor. The ziggurat-style articulation of the new stone-clad façade allows copious natural light to bathe the office spaces, whilst maintaining the robust external appearance appropriate to the heritage context. 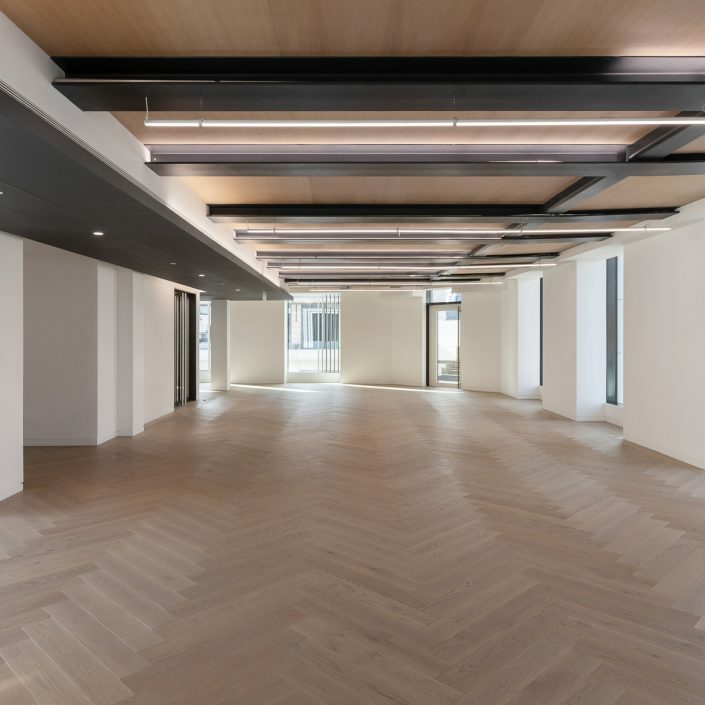 The bold, high-quality and future-proofed design that the client has supported has been rewarded with a single tenancy pre-let of the whole building to VF Corporation, owner of multiple global fashion brands looking for a unified London HQ. Axtell offers VF the perfect combination of world class office accommodation, a prime location and a design reflecting the corporation’s values of quality, heritage and aspiration. The building has been sympathetically redeveloped to celebrate the grandeur of the stone and builds upon the Art Deco accents of the original building. 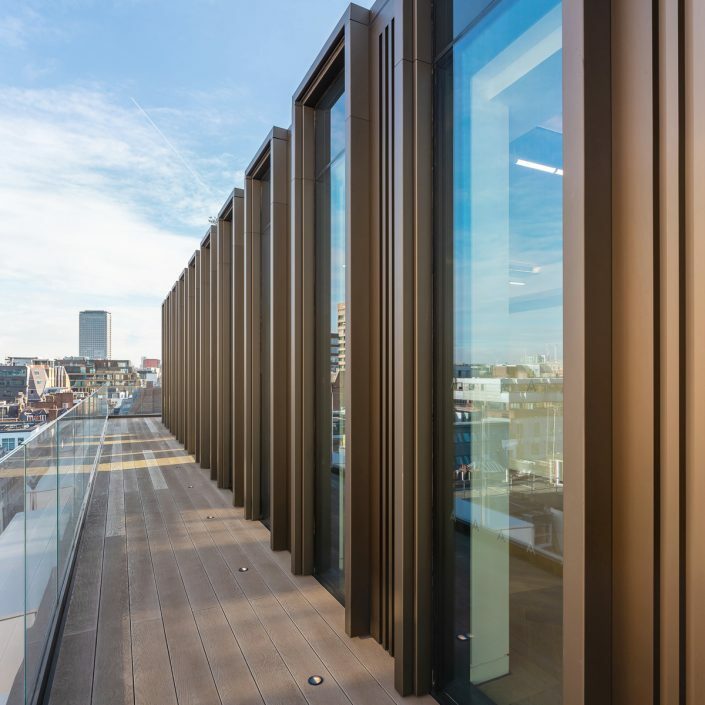 The retrofit of the building has greatly improved access for all with level access, showers, accessible WCs and refreshment provision to all levels as well as greatly improved security, daylight, acoustic performance, climate control and data provision. There are new opportunities for social interaction and diverse working habits with the bay design of the extension and relief from the working day on the roof terrace. 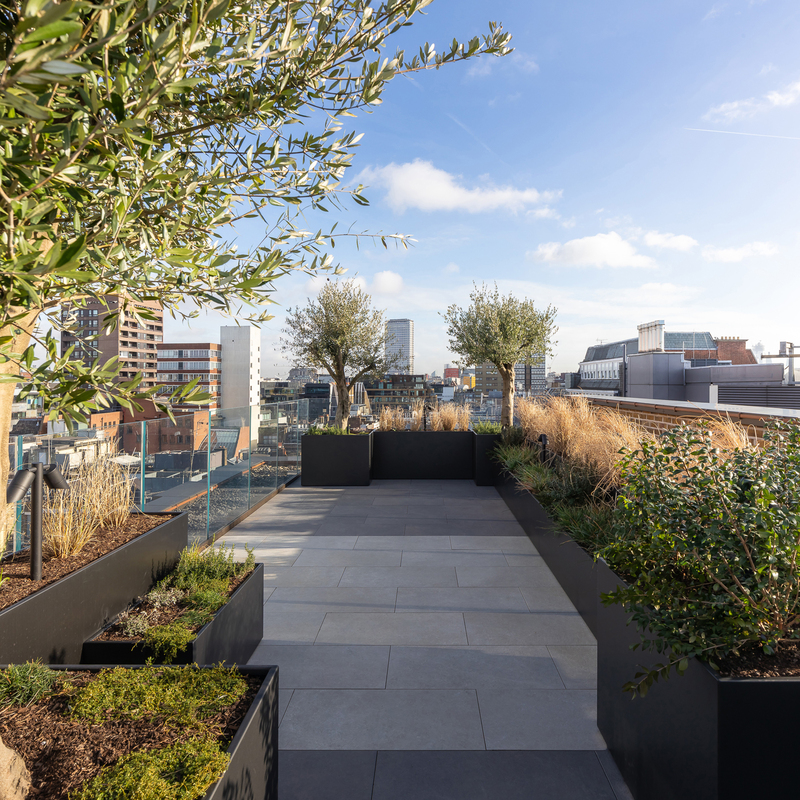 The new roof level features a stunning garden terrace, with enviable views across Soho and beyond. Visitors can retreat to an inner-city sanctuary for refuge and reflection. This garden offers a tremendous natural asset in a dense urban centre that will benefit the building’s users for many years to come. The division of services and provision of sanitary facilities enables split tenancy by floor giving the scheme resilience to adapt to changing tenant demands. Reflected in the BREEAM Very Good certification, we reduced the impact of construction and improved the lifetime in-use efficiency of the building. 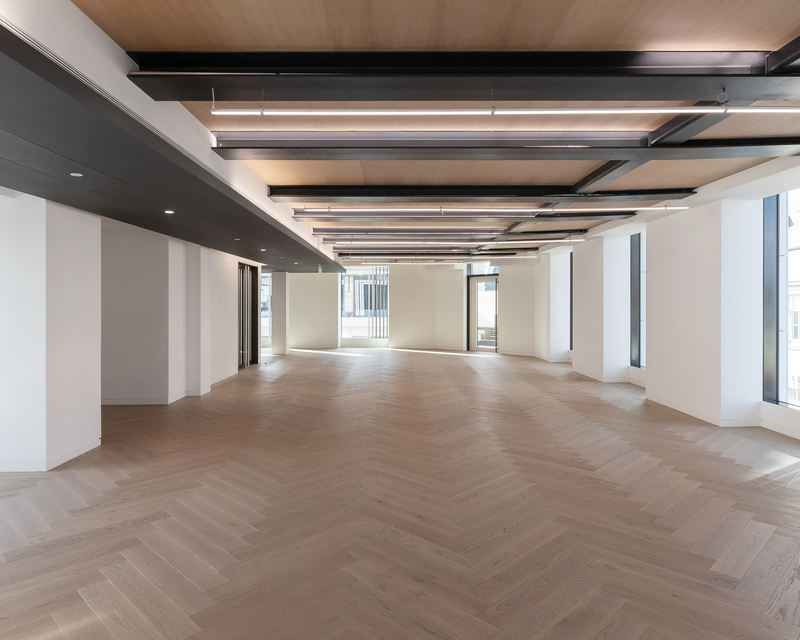 E&A’s aspiration for Axtell Soho was grounded in the desire to make a positive contribution to the city by enhancing and retaining property assets, equipping them for a long-term future. This agenda set the course for the design team, placing demands on all disciplines to respect the existing building whilst improving the performance of the building fabric and implementing intelligent future-proofing to make the new space adaptable and resilient. The high performance of the façade reduced the burden on the climate control and artificial lighting. To give the building resilience to future changes in use, the climate control is independent on each floor to allow versatility. The system employs air-source heat pumps to reduce the energy load further. We improved the thermal and acoustic performance of the existing levels by targeting the lowest performing element, the windows. Axtell Soho now has a predicted Building Emissions Rate of 53.39 kgCO2/ m2/annum. This was achieved partly through the new high-performance building fabric: Replacement windows achieve 1.5 W/m2K; new windows achieve 1.1 W/m2K; the new roof and the new walls achieve 0.19 W/m2K. Innovations were driven by a desire to make the most of the existing structure and to minimise the impact of the new. Rather than demolish the concrete and steel structure, to achieve the extension a lightweight structural strategy was developed that employed a steel frame with CLT slabs to remove the need to replace or reinforce the existing foundations or superstructure. With a lightweight solution we were also able to bring in a roof terrace that could at once offer a refuge from the working day and bring ecological benefit to a formerly barren site. 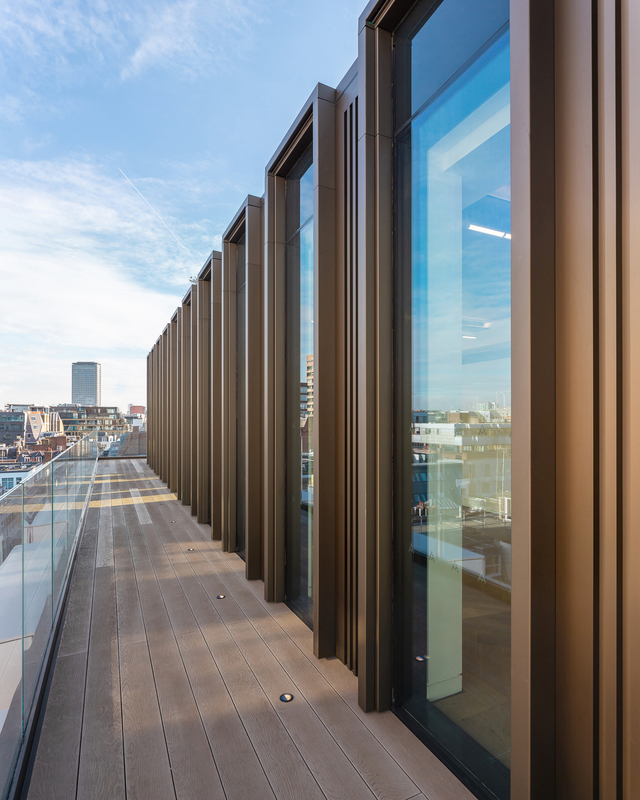 The roof terrace is part of the longevity strategy, making the new Axtell a place that people want to work in for many years to come. This removed the need to replace or reinforce the existing foundations or lower structural levels, significantly reducing cost, improving the viability, dramatically reducing the embodied energy use and minimising the disruption to the ground & basement levels. With Axtell Soho E&A, Darling Associates and the entire design team have demonstrated that substantial, viable, and sustainable renewals of existing buildings can be achieved without major disruption to the public and economic life of the city and simultaneously deliver outstanding workspace and contribution to the streetscape.